Welcome to part four of our 8-part Guide to Guerrilla Marketing. Picture this: the harried ad executive, sitting in his cushy leather chair, is panicked. His bottle of antacid is empty, his mortgage payment is late, and he just can’t figure out how to break through the cynicism of his target audience. Suddenly, his eyes light up and he starts to laugh heartily. His billion-dollar idea: get his audience to do his job for him – for free. Advertising agencies and marketing experts get paid big money to create ads that are unforgettable. But getting those ads seen and getting people to talk about them are two of the biggest challenges facing any advertiser these days. Somewhere along the line, marketers came up with a brilliant solution: let the customers spread the word themselves. There’s a subtle difference between viral marketing and guerrilla marketing. Guerrilla marketing ambushes the viewer and grabs their attention when they least expect it. Viral marketing is advertising that you voluntarily pass around because it’s cool, not necessarily because you want to help build publicity. There is some noticeable overlap where a guerrilla ad that doesn’t quite look like an ad is so great that you to tell other people about it. But viral campaigns can’t be engineered in the way that other types of advertising can – they depend solely on the user to deem them worthy of passing them along. It doesn’t take a marketing genius to figure out that people accept suggestions from their friends better than from some nameless marketer. It’s also apparent that campaigns which engage usually enjoy more success than campaigns that educate. So logic would follow that engaging, ground-level marketing campaigns are one of the best ways to present an idea. But the peril is that being too obvious can kill a campaign before it ever gets off the ground. The trick is in tying all of these components together and getting the ads to go viral without any apparent effort from the advertiser. Knowing all of this, marketers are taking on a new attitude toward their audience and the way they communicate. The method of the moment is trying to make campaigns into grass-roots publicity machines that don’t look like advertising. The goal? Make an ad that gets passed around relentlessly like an annoying email forward. And so far, we’ve been lapping it up. Have you ever emailed a link to a YouTube video that amused you? Taken a snapshot of a flashmob-type marketing event to show to your friends later? Told a co-worker about a store specifically redesigned for the release of an upcoming movie or music event? You’ve probably participated in this innovative (and some say deceitful) form of marketing. Almost everyone remembers Lonelygirl15, the pouty but compelling YouTube star. The supposed teenager later turned out to be an actress building buzz for a trio of budding filmmakers. Then there was the amazingly entertaining video featuring a whole office lip-synching to “Flagpole Sitta.” That video was later revealed to be a great publicity-builder for Connected Ventures, home of Busted Tees, College Humor, and Vimeo. Seriously, didn’t you want to work there after seeing that video? That’s apparently what they were going for. 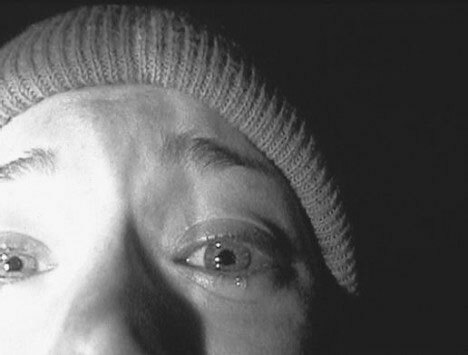 Arguably the most effective viral/guerrilla marketing campaign to date was for the movie The Blair Witch Project. The buzz around the film was unlike anything the world had ever seen. The low-budget movie was built up with an unprecedented viral campaign that focused mainly on spreading the myth of the Blair Witch as if it were a real local legend. By the time the film came out in the summer of 1999, many people refused to believe that the legend and the events in the film were completely fictional. The reaction to a viral guerrilla campaign is often what defines the whole experience. A well-received viral campaign that is straightforward and obviously trying to sell you something may be moderately successful. But a guerrilla campaign that fools a lot of viewers into thinking it’s not an ad? That tends to tick people off. And what do ticked-off people do? They tell other people. They conduct research. Some even go to the media. And all of that attention makes for one wildly successful advertising campaign. When a few viewers decided to get to the bottom of the Lonelygirl15 mystery, they created a nationwide outrage. Bloggers, news outlets, and people on the street were all abuzz with the indignity of it all. And the team behind the webcasts laughed all the way to the internet notoriety bank. Luckily for us, not all guerrilla advertising is about making money. There are plenty of guerrilla campaigns that have been about politics, social change, and just plain being a good person. Come back for the next installment of our guerrilla marketing series to see how guerrilla marketing can be used in a non-commercial context.